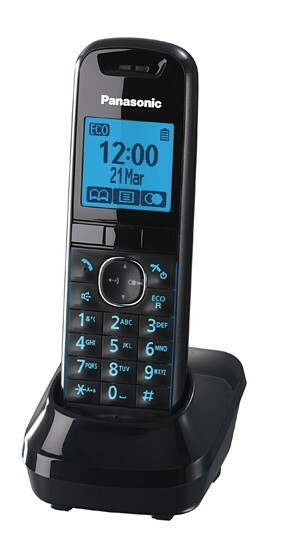 The Panasonic KX-TG 5526 is a handsome addition to the new premium quality range of Panasonic cordless DECT phones. This eye-catching, contemporary home phone features an attractive handset with silver finish and a relaxed, ergonomic design for comfortable use. The handset embodies a large blue-illuminated keypad with well-spaced buttons and a distinctive 1.8 inch blue back-lit LCD display screen. The matching base station compliments the sophisticated design of the handset and includes a handy control panel with message indicator.